Oyama, was born Yong-I Choi, on July 27, 1923, in the tiny village of Wa-Ryongri Yong-chi Myonchul Na Do, in Southern Korea. His family, considered aristocrats belonged to the Yangban-clan. His father, Sun Hyang, was the mayor of Kinje, a town near the village where Yong-I Choi was born. As a young child, nine years of age, Oyama began studying Southern Chinese Kempo under the instruction of Mr. Yi, an employee on the estate owned by Oyama’s father. Oyama was also an avid reader and was deeply affected and moved after reading the biography of Otto von Bismark (1815-1898) the Prussian Chancellor (1871-1890) of the German empire. Bismark, Oyama read, was instrumental in unifying Germany in a span of only two to three years, making it a nation powerful enough to control most of Europe. In 1938, at the young age of fifteen, Oyama wanted to serve the country he now called home and therefore joined Japan’s Yamanashi Youth Air Force Academy with the intentions of becoming a pilot. In September of this same year, Oyama became a student of Gichin Funakoshi, Shotokan Karate founder, at the Takushoku University. Funakoshi, a schoolteacher from Okinawa, was credited with introducing karate to Japan. It is this man that Oyama later would refer to as his true karate teacher. Throughout the years Oyama always spoke highly of Funakoshi, remarking in later recollections of his gentle yet overwhelming presence. 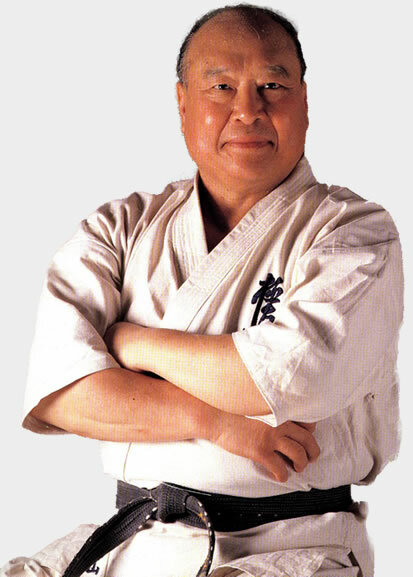 Oyama went on to say that of the many things he learned from Funakoshi, kata (formal exercises) was the most important. By the age of eighteen, Oyama had earned the rank of Nidan in karate (second level black) rank. Oyama was still very much a patriot and was always volunteering for special military duty. On one assignment to an airfield near Tokyo, a confrontation provoked by an officer, resulted in Oyama striking the officer. Although found innocent, due to the provocation on the part of the officer, Oyama was ordered transferred to an area in the Pacific. However, the war was just ending and lucky for Oyama, the transfer was halted. But this luck had an ironic twist for Oyama because it also meant that his driving quest to serve his new country was now over. The announcement that Japan had surrendered WWII quickly ended Oyama’s military career. The stress of losing his career and the dishonor he felt for his adopted country losing the war created great – almost unbearable – stress in Oyama’s life. Oyama found someone Korean like himself by the name of Nei-Chu So. Not only was So Korean but he was also from the same province. Nei-Chi so was a practitioner of the Gojo-Ryu style of karate. Gogen Yamaguchi, nicknamed “The Cat”, was carrying on Goju Ryu, founded by Chojun Miyagi in 1930 in Japan. Yamaguchi commonly acknowledged that Nei-Chu So was one of his best students. Oyama quickly resumed his martial arts training under so and a strong bond was formed between the two. So, a great philosopher and strong in character, possessed even stronger spiritual convictions. Oyama would not only learn Goju-Ryu from so, but would also be sanctified by him into the Buddhist faith of the Nichiren sect. It was so who inspired Oyama to make karate his life long dedication, propelling him to face his own challenges and develop his own achievements and victories. At the same time he began his training with So, Oyama earnestly took-up the practice of Judo as well. After four years of training, he received his Yondan (fourth level black) ranking in Judo. Oyama liked to attend the local dance competitions in the area in order to socialize and relax after his martial arts training. It was at one such dance event that Oyama came to the aid of a female who was being accosted by a local troublemaker. When Oyama intervened, the troublemaker, a tall Japanese suspected of several homicides, became enraged and produced a knife. Taunting Oyama, the troublemaker made continuous slashing movements through the air in front of Oyama’s face with the knife then lunged towards Oyama. Oyama blocked the attack and delivered a forceful punch to the head of the assailant, killing him instantly. Because of eyewitness accounts of the incident, Oyama was ruled, by the courts as justified in using self-defense. However, the impact of the tragedy devastated Oyama. To kill a man with a single blow was so overwhelming to Oyama that he decided to give up his martial arts training. Learning that the man he killed had a wife and children on a farm in the Kanto area near Tokyo, Oyama went to the farm and worked there for several months. He did not leave until the widow assured him that she was financially capable of maintaining the farm and that she did not hold Oyama responsible for the death of her husband. In 1948 Mas Oyama, taking with him only his books and the basic necessities for cooking, began an arduous training regimen atop Mt. Minobu in Chiba Prefecture. Mt. Minobu is the same place where the famous seventeenth century samurai, Miyamoto Musashi, received inspiration for Nito Ryu, his celebrated double sword system. To Oyama, this was the ideal place to train and be inspired in the same tradition as his idol, Musashi. Of the books Oyama took with him on this journey, none were more important than the collection on Musashi, by Yoshikawa. For eighteen months, isolated in the mountains, Oyama tested himself against nature’s elements with such scenarios as training and meditating under icy waterfalls, performing countless jumps over bushes and boulders and using trees and rocks as Makiwara (striking aide) to condition his hands, feet and legs. After eighteen months of solitude, Oyama returned from the mountains. Shortly after his return from the mountain training, the first karate tournament since the end of World War II was held in Japan. Oyama competed in this All Japan Karate Tournament held at the Maruyama Kaikan in Kyoto and emerged victorious – the tournament’s first champion. But Oyama was an intense young man and still was not satisfied with his achievement. He still felt that something was lacking in his martial arts and that he had not truly reached his full potential. Oyama returned to the mountains for another year of grueling fourteen-hour training days. To this day, there is no other person who has undertaken such a training regimen within the martial arts. After this final isolation and training period, Oyama returned to civilization ready to apply all that he had learned. It was at this time Oyama decided to apply his karate expertise in a life and death battle – a conflict that would set man against beast. Mas Oyama, in order to show the strength of his karate, tested his strength by fighting raging bulls barehanded. It was a mismatch from the get-go for the bulls, not for Oyama. In all, he fought 52 bulls, three of which were killed instantly, and 49 had their horns taken off with knife hand blows. That it is not to say that it was all that easy for him. Oyama was fond of remembering that his first attempt just resulted in an angry bull. In 1957, at the age of 34, he was nearly killed in Mexico when a bull got some of his own back and gored him. Oyama somehow managed to pull the bull off and break off his horn. He was bedridden for 6 months while he recovered from the usually fatal wound. Today of course, the animal rights groups would have something to say about these demonstrations, despite the fact that the animals were all destined for slaughter. In 1952, he traveled the United States for a year, demonstrating his karate live and on national television. During subsequent years, he took on all challengers, resulting in fights with 270 different people. The vast majority of these were defeated with one punch! A fight never lasted more than three minutes, and most rarely lasted more than a few seconds. His fighting principle was simple — if he got through to you that was it. If he hit you, you broke. If you blocked a rib punch, you arm was broken or dislocated. If you didn’t block, your rib was broken. He became known as the God hand, a living manifestation of the Japanese warriors’ maxim Ichi geki, Hissatsu or “One strike, certain death”. To him, this was the true aim of technique in karate. The fancy footwork and intricate techniques were secondary (though he was also known for the power of his head kicks). These life and death struggles brought notoriety to Oyama. Oyama used this notoriety to help establish his Kyokushin organization. Oyama’s reputation grew with each bullfight and each challenge match, as he defeated wrestlers, boxers and judo stylists alike in no-holds-barred bouts. He was an equal-opportunity fighter, taking on any man from any combat system, who wished to challenge him. For nearly fifty years, fifteen million plus members of Oyama’s worldwide Kyokushin Karate organization witnessed this man’s incredible feats. Whether from the power of his strikes, the strength of his handshake, his remarkable teachings or through the teachings of the instructors and branch chiefs that Oyama produced, everyone associated with him knew that this esoteric name was not inappropriate. Oyama was a living legend until he passed away April 26, 1994, at the age of 71. He could fight and defeat a bull or another man with little problem; they were tangible opponents that appeared before him. But lung cancer was a hidden enemy, sneaking around inside Oyama’s body and tearing it asunder day by day. He couldn’t beat the disease with his fists or his feet. Nor could he devise a strategy to ward it off. For years, the cancer ate away at his insides without him even knowing it was there. Hanshi (Honorable Master) Steve Arneil was born in South Africa in 1934. At the age of 10, his family moved to Northern Rhodesia (now Zambia), and there he began training in Judo and boxing. His mother made him stop boxing, but he continued studying Judo. From an early age, Hanshi Arneil was fascinated with the Orient, and he began watching a Chinese man practicing Shorin (Shaolin) Kempo in the man’s back yard. The Chinese man noticed Arneil “spying” on him, and invited him to train. Arneil accepted the offer and trained with his new friend throughout his school years and college. Around the age of 25, Hanshi Arneil moved to Durban, South Africa, to complete his education in mechanical engineering. 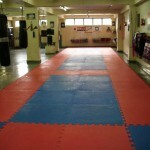 He found a local Judo dojo in Durban that also offered karate. At the time, a number of Japanese people were immigrating to South Africa, arriving at the port city of Durban. Arneil would go to the arriving ships and ask if any of the Japanese practiced karate. If so, he would invite them to train at the dojo. These men practiced various karate styles, but Arneil didn’t care about the differences – to him, karate was karate. Unfortunately, China was beginning to experience Mao Zedong’s Cultural Revolution, and life for a Westerner in China began to get difficult. People outside of the monastery even started hitting Arneil on the head with their copies of Mao’s “Little Red Book”. His friends at the monastery suggested that he leave China for his own safety, and they brought him back to Kowloon to train with another kempo teacher. The training was very different than at the monastery, and Arneil didn’t like it. Around that time, Hanshi Arneil heard of a karate master in Japan named Mas Oyama, and he was determined to go there and seek him out. He didn’t have enough money to get to Japan, so he first had to work on boats to the Philippines. When Arneil finally saved enough money, he returned to Hong Kong and from there went to Yokohama, Japan in 1961. Initially, Hanshi Arneil was lost in Japan – he couldn’t speak the language and knew nothing about Japan other than the name of its capital. He somehow managed to get to Tokyo and found his way to the Kodokan, the headquarters of one of Japan’s styles of Judo. Arneil trained at the Kodokan for a short while and received the rank of Shodan (1st Dan) in Judo, but he was really interested in studying karate. At first, Hanshi Arneil studied Goju Ryu karate under Gogen Yamaguchi. (Yamaguchi, who lived from 1909 to 1989, was also the instructor of So Nei Chu, under whom Mas Oyama trained in the late 1940’s.) He trained in Shotokan karate as well, but still felt that something was missing. Shortly after earning his Shodan in Judo, Hanshi Arneil met an American named Don Draeger and asked him if he knew of this karate master who “knocks bulls out.” Draeger did, and he took Arneil to Mas Oyama’s dojo. Arneil saw the intensity of the training and the discipline of the students, and he knew that this was where he wanted to be. Draeger (who was fluent in Japanese) asked the instructor if Arneil could train. The instructor told him that if he were interested, he would have to sit and watch, since Mas Oyama was in America at the time. For about six weeks, Hanshi Arneil sat and watched, until one day Mas Oyama returned. Using Draeger as a translator, Mas Oyama told Arneil that he needed to come back and watch for a few more weeks in order to really make up his mind about joining the dojo. And so he waited and watched some more. After two weeks, Mas Oyama gave Arneil his first karate gi (uniform) and said that he would have to start from the beginning. He trained very hard, and even though he wasn’t Japanese, he was treated the same as the other kohai (juniors). They started training at 6:00 PM and couldn’t finish until Mas Oyama was finished, usually four or five hours later. Along with the other kohai, Arneil had to wash the dirty karate uniforms for the entire school and clean the dojo and its toilets – including emptying the toilet buckets. When Hanshi Arneil tested for the rank of Shodan in Kyokushin Karate, he learned an important lesson in life from Mas Oyama. At the test, he thought that he did better than the others, but when the promotion list came out, his name wasn’t on it. No one told him why, and he became very upset and stayed away from the dojo for a few days. Finally, Mas Oyama came by and asked Arneil where he had been, and he responded that he had been sick. Arneil was depressed and wanted to leave Japan, but he didn’t have enough money to do so. Instead, he stuck it out and continued to train. At the next promotion test, Arneil lacked some confidence in himself, but he did what he had to do. When the promotion list came out, he was finally on it as a Shodan. Looking back on what happened, Arneil later realized that he wasn’t ready in his mind or heart when he first tested. If he had earned his Shodan the first time, he would have left Japan and moved on to something else, thinking that he had learned enough. Mas Oyama later told him that he saw more in Arneil than just a black belt, and he took the chance of losing his student through disappointment. Arneil’s initial failure eventually let him develop the patience, determination and perseverance (Osu) needed to master Kyokushin Karate. Over the next few years, Hanshi Arneil intensified his training efforts and progressed rapidly. During this time, Mas Oyama became like a father to him. In fact, Mas Oyama actually adopted him so that he could marry a Japanese woman. With the financial support of his wife, who worked in a bank, Arneil was able to stay in Japan and train. To earn money, he also acted in some movies under the name “Steve Mansion”. In 1991, Hanshi Arneil and the BKK resigned from the International Karate Organization (IKO), and he founded the International Federation of Karate (IFK). The IFK currently has a membership of over 120,000 in 19 countries. 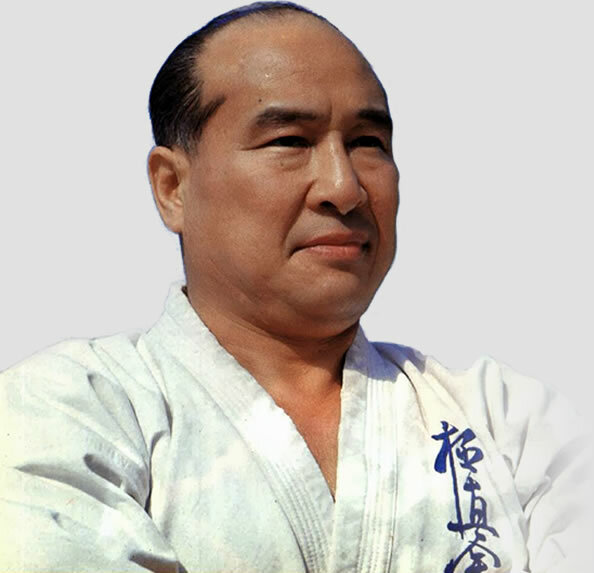 After the death of Mas Oyama in 1994 and the subsequent splintering of the IKO, Hanshi Arneil was asked by Mas Oyama’s widow to lead the IKO(2). Not wishing to become involved in the tangled politics of the various Japanese organizations, he politely declined the offer, in order to devote his time and efforts toward running the IFK and teaching Kyokushin Karate. One of Hanshi Arneil’s goals in the IFK is consistency – every Kyokushin karateka in any country at any dojo should perform the techniques and katas the same. Toward that end, he has developed a systematic grading syllabus for the IFK and has published a book on Kyokushin kata. Mas Oyama had told him that the only way you can unify an organization is by doing the same thing, and the only way you can do the same thing is by kata. Mas Oyama, prior to his death, personally awarded Hanshi Arneil with the rank of Shichidan (7th Dan). The entire British karate community later awarded him with the rank of Hachidan (8th Dan) for his dedication and services to karate in Great Britain. On May 26, 2001, the Board of Country Representatives of the IFK awarded Hanshi Arneil with the rank of Kudan (9th Dan) in recognition of his work in promoting Kyokushin Karate throughout the world during the past 40 years, and in particular during the past 10 years under the banner of the IFK. 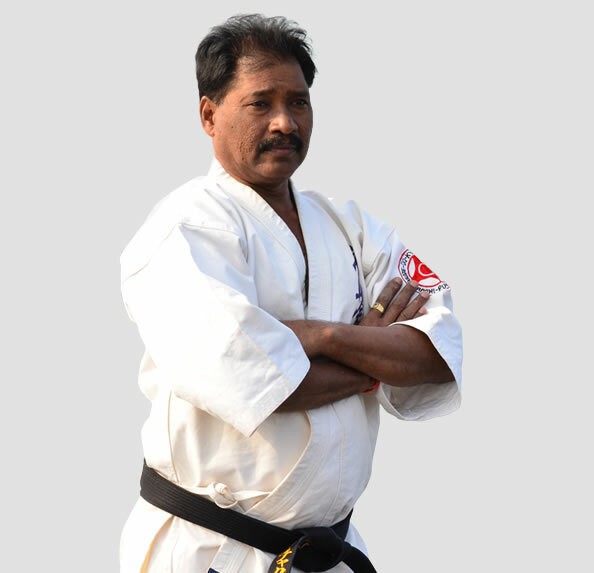 Shihan Sapan Chakraborty was born in 1962 at Calcutta (India). At the age of seven he started with Kung Fu in the Calcutta’s China Market. In 1971, he started learning Judo. At the age of 12 he migrated to Rangoon (Burma). There he took to learning Taekwando. After practicing Taekwando for 2 years he moved to their local art Muay Thai-Boxing. Simultaneously he started off with Kyo Kushin Kai. After having stayed in Mumbai for another 2 years, he moved to Pune. He founded the Kyo Kushin Club in the year 1982, as there was no Kyo Kushin club available at that time. Thereafter, he became the President of Indian Karate Do KyoKushin Kai (IKK). Many students aspired to join this club but could not go on for a longer time due to the severe practice. Therefore Kyo Kushin had to struggle to spread its branches. Due to Shihan’s efforts of starting new Dojos all over Maharashtra, Kyo Kushin could spread widely. Shihan successfully participated in a number of national tournaments held all over the country, winning almost all, amounting to 22 victories. In 1989, Shihan visited Shihan Kenny in South Africa. In 1992, he joined International Federation of Karate (IFK) headed by Hanshi Steve Arneil who himself sent an invitation to join IFK. 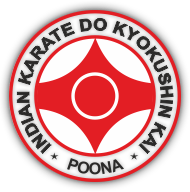 Indian Karate Do Kyo Kushin Kai got affiliated to IFK in the same year. On the 20th September 1992 he set a new world record by breaking 12 slabs of ice measuring 5.5 x 4.4 inches with his bare forehead in a single stroke and won himself a coveted place in the “Limca Book of World Records”. In the month of September 1992, Shihan, the only Indian, set a record by successfully completing 50 Men Kumite. All Fighters of different styles of Karate from Shodan to Yondan grades fought for 2 minutes each in which Shihan defeated each of the fighters. Moreover, he accomplished this feat without getting injured or any casualties. Overcoming the impossible, he broke his own record, by breaking 13 slabs of Ice in March 1993, with his bare forehead in a single stroke. He would not stop at this. In Dec. 1994, he successfully completed 50 Men Kumite once again. The Indian Karate Do Kyokushin Kai (IKK) has been functioning since 1982 and has created a reputation in Karate all over the world. IKK, which was founded on 22nd September 1982 by Shihan Ssapan Kumar Chakraborty started its journey to fame from the Alpa Bachat Bhavan at Pune (state of Maharashtra) where our classes have been held regularly. Currently IKK has its branches over 7 states all over India. The founder and chief instructor of Indian Karate Do Kyokushin Kai is Shihan Ssapan Kumar Chakraborty, one of the oldest instructors in Pune. Presently training 4,000 students privately, he conducts training sessions in 7 city schools. His sincere aim by imparting his training is to make the young people of today more strong – physically and mentally – and enable them to meet their day-to-day challenges independently, with calmness and courage. He has also trained the 9th Battalion Commando Special Forces, and we are proud to mention that many of our students now hold high ranks in the Armed Forces, The Police Force, the Customs Department, and have indeed lived up to the principles and teachings of Kyokushin Kai Karate. Several other classes are held at various schools and other places in Pune. For details regarding these dojos please contact our Office. Shihan Chakraborty’s name figures in the Guinness Book of World Records and Limca Book of World Records for breaking 12 slabs of ice, each measuring 5.5’’x 44’’on 20th September 1992 at Pune, with his bare forehead in a single stroke. In the month of September 1992, Shihan, set a record by successfully completing 50 Men Kumite. All Fighters of different styles of Karate from Shodan to Yondan grades fought for 2 minutes each in which Shihan defeated each of the fighters. Moreover, he accomplished this feat without getting injured or any casualties. At the International Knockdown Tournament held at Crystal Palace, London in 1994, Sensei Jacintha D’Souza was the only participant from all over India, accompanying Shihan. At the 1st World IFK Knockdown Championship held at Moscow (Russia), we had two female participants, Senpai Rashida Matheranwalla and Senpai Zeeba Irani and a male participant Senpai Yogesh Dangare representing the Indian team. Shihan Chakraborty was the official country representative and was also appointed as referee at the event. Our students Senpai Yogesh Dangare, Senpai Abhijit Gavali, Senpai Kiran Alatgi and Senpai Prashant Kankokar participated in the 2nd Asian Shinzen Kai Karate Championship, which was held at the Balewadi National Sports Complex, Pune. Twelve countries had participated at this event. A major achievement of the year 2002 has been the success of the 2nd World IFK Knockdown Championship in Spain, wherein we had a team of 6 participants, which participated on behalf of the country. All this was possible due to the tireless efforts of the students and Shihan as well as due to the undoubtedly helpful support of the whole organizing committee. 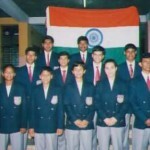 In October 2003, at the 2nd World IFK Kata Championship held in Poland, we represented India with a squad of 6 members. Our students also participated in the 3rd Asian Shindokay Karate Championship held at Pune and won two gold, one silver and one bronze medal. In November 2004, a contingent of 6 karatekas participated in the 2nd World Black Belt Training Camp at Switzerland. Besides the above listed achievements, Karatekas of Indian Karate Kyokushin Kai have participated and won a lot of national Kumite and Kata Championships. The International Federation of Kyokushin (Karate) was launched on 22nd September 2013, which was also the 31st foundation day for the IKK. The IFK has been launched with an objective to provide quality and affordable Kyokushin training to national and international karatekas. Shihan Sapan Chakraborty has dedicated his entire life to the development of Kyokushin and the International Federation of Kyokushin is an addition to his efforts of spreading the Kyokushin Spirit. Shihan started his training very early in life at the age of 7. With a zeal to find his passion and discover the style which truly depicts and justifies his thirst to be a true martial artist, He finally started to train under the Master of Kyokushin, Sosai Masutatsu Oyama or Mas Oyama. Shihan also trained under Shihan Bobby Lowe. Sosai, always spoke of the Budo Spirit, He said “Always remember that the true meaning of Budo is that soft overcomes hard, small overcomes large” and Shihan Ssapan Chakraborty has given his best to follow the Budo spirit. 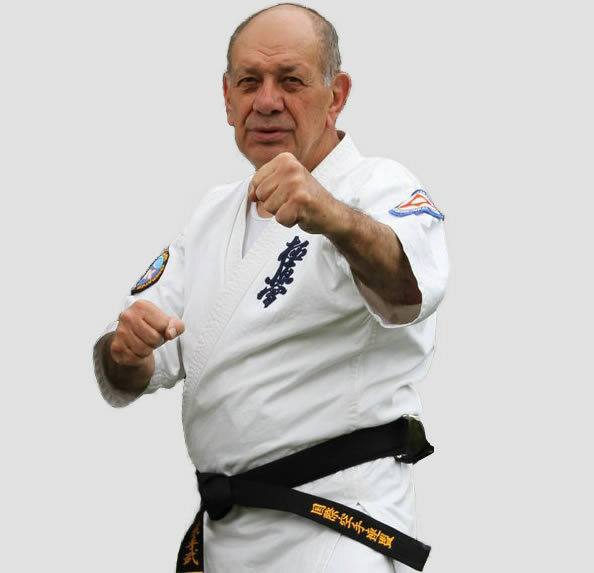 Shihan was a part of the IKO until the year 1992 and thereafter, once Hanshi Steve Arneil founded the The International Federation of Karate (IFK), he has been with The International Federation of Karate until 15 Jan 2014. “Kyokushin has given me everything that I am today. I feel, now it is my time to give back something to Kyokushin. I am only a speck of the entire martial art. I dedicated my entire life for Karate and continue to follow it against all odds. I have seen many great karatekas being forced by situation to leave martial arts due to heavy monetary requirements and hence IKK brings to you, The International Federation of Kyokushin, so that there is no barrier for those karatekas who are truly passionate about martial arts. Our motto is to spread Kyokushin like fire which always rises upwards and be in the Budo spirit.” Shihan Sapan Chakraborty. 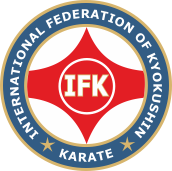 IFK is a unique organization, which will create only ‘quality karatekas’ by imparting international level Kyokushin training. In all these years, we have seen many great karatekas give-up their passion for karate for the sole reason of high monetary requirements to grow in this field internationally. Hence, the International Federation of Kyokushin promises to impart international level quality karate education, since our main motto is to enhance the spirit of Kyokushin among martial artists. The IFK will follow and award all the training, belts, camps, grading as per international standards removing the biggest barrier of high fee structures, or international travel for all its members. What more, The IFK is not restricted to only the followers of Kyokushin or only Indian martial artists, however to all other styles, national and international karatekas too. Our main motto is to follow and rise in the Budo spirit. We believe that we are all the followers of Martial Arts and we will do everything to strengthen it, spread it and help everyone deepen their passion for karate through our support. We promise to impart the Kyokushin training and knowledge in its truest and purest form always!